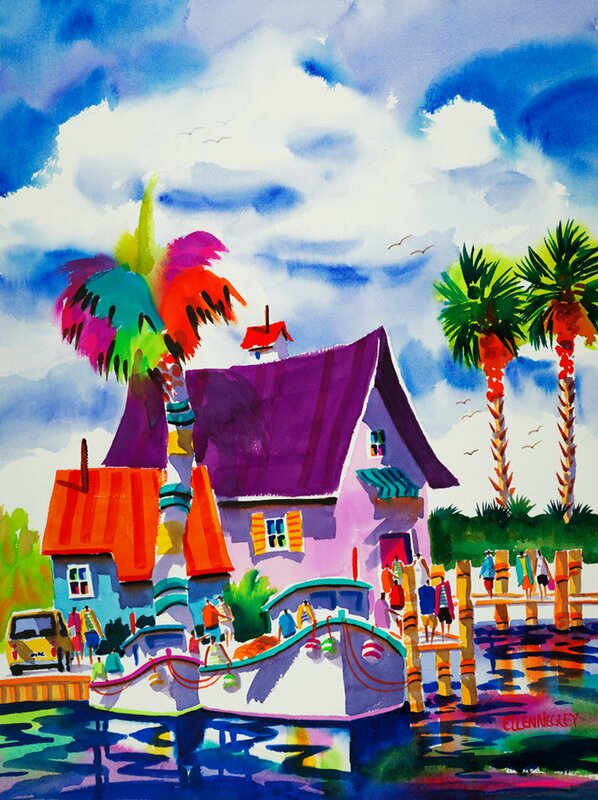 "NO WAKE ZONE" is a tropical, colorful Florida scene featuring people on boats getting ready to head out to sea. I had fun playing with all the different colors in the palm trees. All green is boring!